What is a High Drive Dog anyway? As a professional dog trainer, I work with a wide variety of dogs of all sizes, temperaments and energy levels. Among the most challenging are the very high energy dogs with busy minds. These dogs often come from field or farm working lines, and have been bred over generations for physically and mentally rigorous work. They are among the most intelligent and most active dogs, and their work ethic makes them excel at the work that they do. 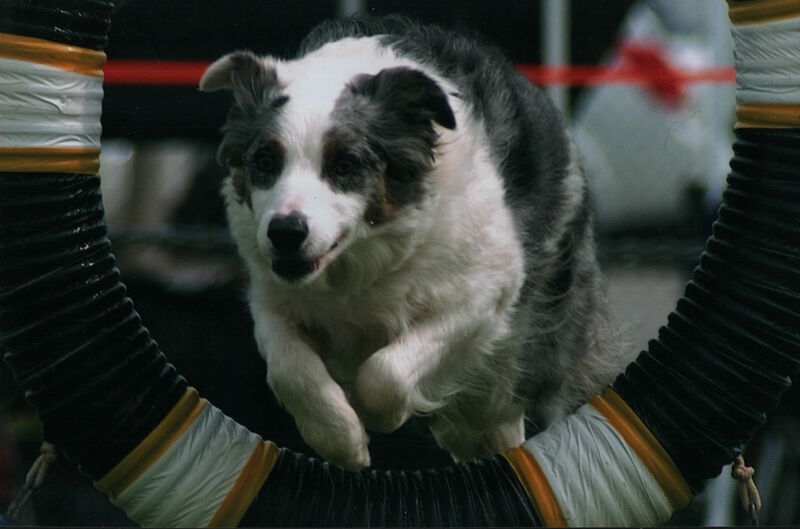 You see these dogs among the top competitors in sports such as agility, flyball and disc, as well as on television and on the big screen. These are also the dogs that you see working alongside police officers and other professionals, finding criminal suspects and their contraband, or doing search and rescue amidst disasters. Billie*, a beautiful Australian Shepherd dog from champion working ranch lines in a pet home with insufficient work, looking for things to herd. Her targets included cars, motorcycles, bicycles, and over time she became desperate and thus leash reactive from great distances when she didn’t get to chase them down. In her desperation to control something she even ended up nipping at her owner whenever she didn’t do whatever the dog had in mind at the moment. It has taken her owner many many months to get a handle on Billie’s energy level, and for a while it became nearly a full-time second job just to keep up. Rocky*, a field bred Labrador retriever who become extremely destructive and obsessively barked at his owners whenever they would stop throwing the ball for him. He appeared never to get tired, and only finally relaxed for a moment when we did some rigorous obedience work with him to tire him out mentally. This became the daily norm and essentially resolved the issues over time. Danny*, a brilliant little terrier mix who bounced from home to home because of severe resource guarding issues. He seemed to have the need to control everyone and everything around him. He would bond with people then guard them from others. He guarded his spaces and occasionally prized toys. But he also learned so quickly, and I saw in him a dog that needed more direction and much more mental exercise in an environment where he could feel completely safe. Unfortunately, I was not able to take him in personally and there were insufficient resources to work with him in training. I still miss that little guy. And of course, Trevor, to whom the High Drive Dogs website is dedicated. He was fortunate to find his “forever home” on a working ranch in Minnesota and is doing well there with lots to do. There are numerous other dogs with whom I have worked, who were harassing other household dogs, or trying to nip and herd their families, or repeatedly jumping over fences to escape their boredom, when all that they needed were *jobs* to keep them mentally and physically fulfilled. Many of these dogs did find their jobs, including a variety of sports, as well as tricks training and other household work including retrieving dropped objects. 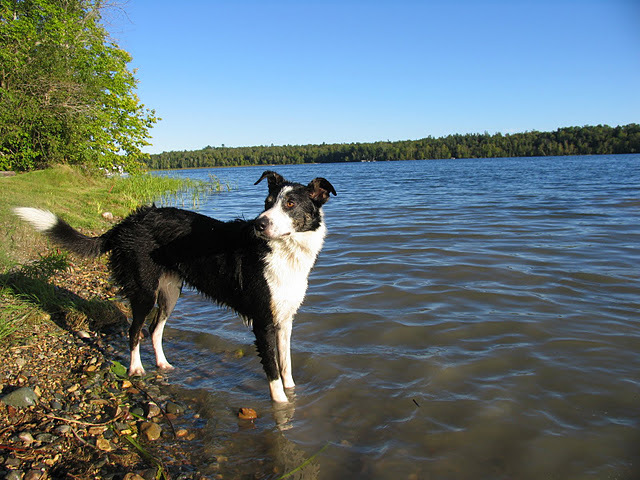 Many others were not so fortunate – not because they had bad owners but rather, because their families were unprepared for the energy level and time commitment needed to maintain such a dog. This is why the really good breeders of such dogs as working border collies and field-bred Labradors carefully screen their prospective families, and will turn them down if they do not already have a job in mind for their puppies. Unfortunately, not all breeders are that responsible. Furthermore, there are so many mixed breeds as well, from truly irresponsible owners who don’t spay and neuter their pets when they are not well-suited for breeding. Many of these dogs go to unsuspecting owners, expecting to get their calm and quiet dog, but instead getting these whirlwinds of physical and mental activity for which they are unprepared. So, it is to these dogs that I dedicate this website, with the hope that many of these wayward pooches may find their jobs… their life’s work… in homes that actively seek them out as partners in work and play. I’m one such home, but like everyone, I have limits as to how many dogs I may keep. I can’t personally save all the Billie’s, Rocky’s and Danny’s of the world, but hopefully, via this website as well as through other venues, I can somehow contribute to improving their lives. * NOTE: the names of these real dogs have been changed, for their privacy and that of their owners.